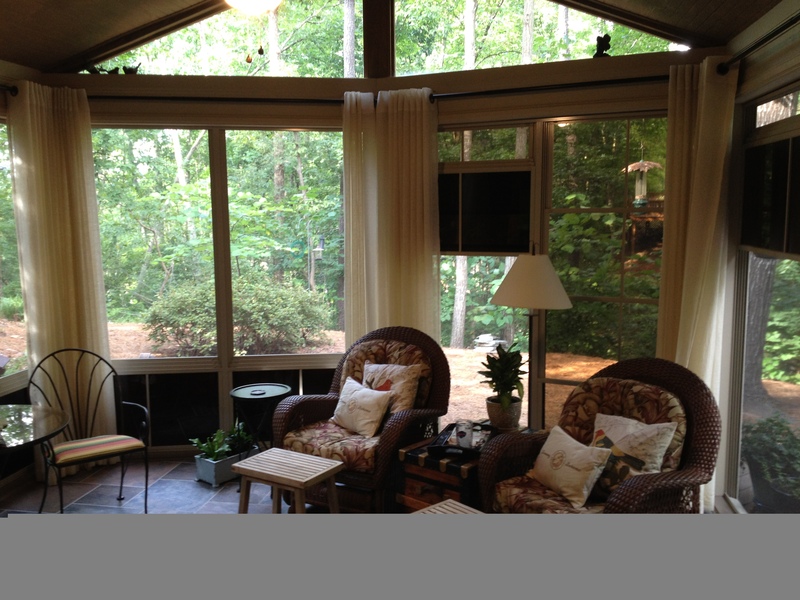 Looking for screen porch design ideas? Our design ideas begin with looking at your home’s roof line and imagining what would be the appropriate architectural fit whether its a gable roof, a shed roof, a gazebo style roof, or even a flat roof. Then we look at colors of your home and the trim color. There are two primary routes we take. Depending on what you are trying to achieve, we can go with a rustic porch look or try to make the porch look as though it was part of the home rather than an addition. This is done through color and roof line. By changing the size of the columns supporting the roof can make your porch seem more substantial and even decorative. In addition, adding architectural trim such as crown molding under the ceiling or dental molding to the exterior along with trim out the columns can make the porch more formal. 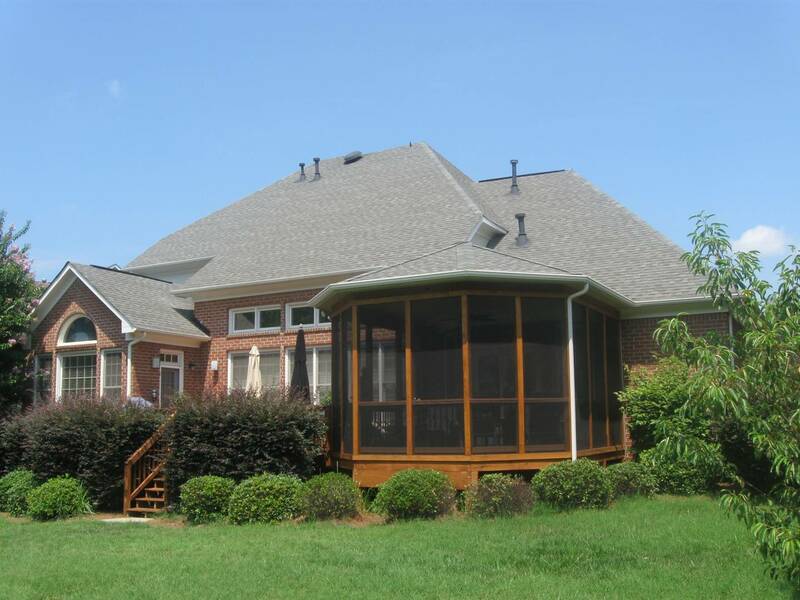 Are you looking for beautiful porch ideas in the Lake Wylie area? Look no further! We have been designing and building front and back porches for 26 years in and around the area and have thousands of home photos for great design ideas! 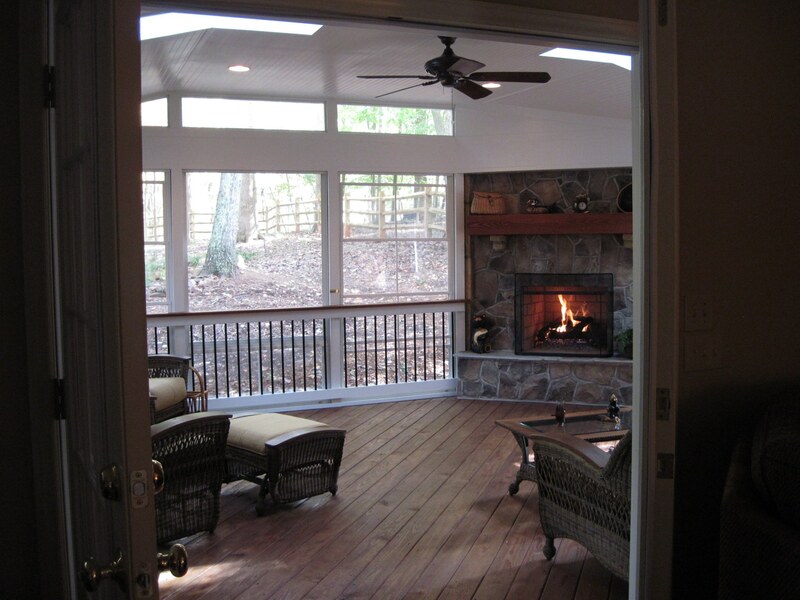 You can go to Pinterest or Houzz and see all kinds of photos but to really dial in on the market with screen porch or covered deck and patio photos, you have to check out http://www.charlotte.archadeck.com to see Carolina outdoor living ideas. Let’s start with material considerations. If you like a more rustic porch, why not go with a beautiful stained cedar that you can have nice wide porch columns and trim. Have the roofing match your existing home so that it looks as if the porch were built with the home. 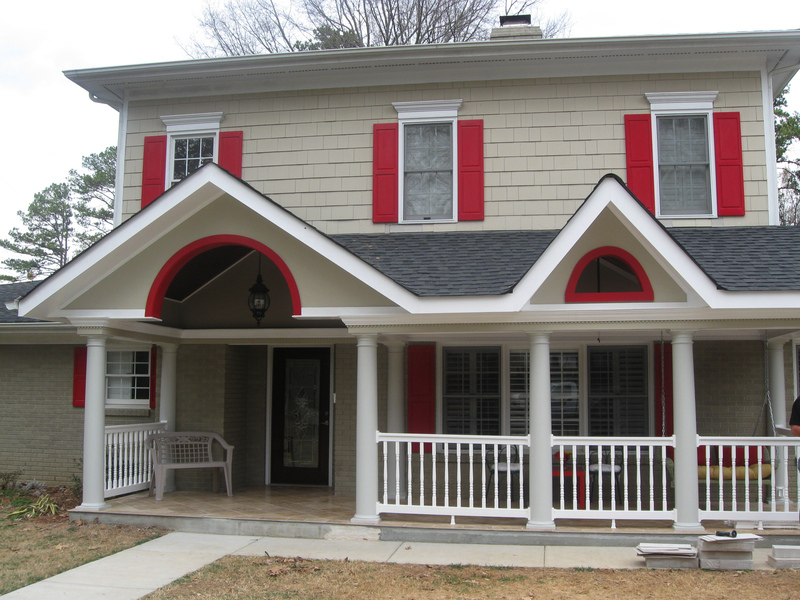 In addition, have your gutter, soffit and fascia all material and color matched to blend in nicely. Secondly, flooring options can make a big difference. If you want that rustic feel, either stained wood deck boards or a tongue and groove material for the porch floor works well. If you want a more finished or contemporary look, have the floor tiled with a Travertine or ceramic tile. 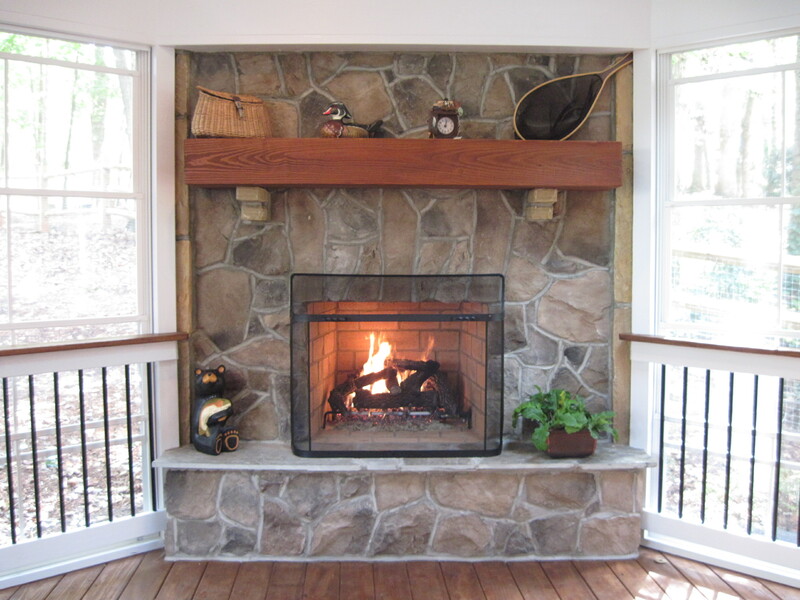 Think about integrating an outdoor fireplace right into the porch design for year around comfort and incredible beauty. Drop shades or outdoor curtains are wonderful options to block the sun from you as it shines in brightly below the roof line. Don’t forget the electrical options when designing your dream porch. Of course you want ceiling fans, plenty of outlets, can lights, and perhaps TV for those that truly want to live outdoors. If you enjoy entertaining, think about a built in bar station with an ice maker and also a cooking station with a vent hood! 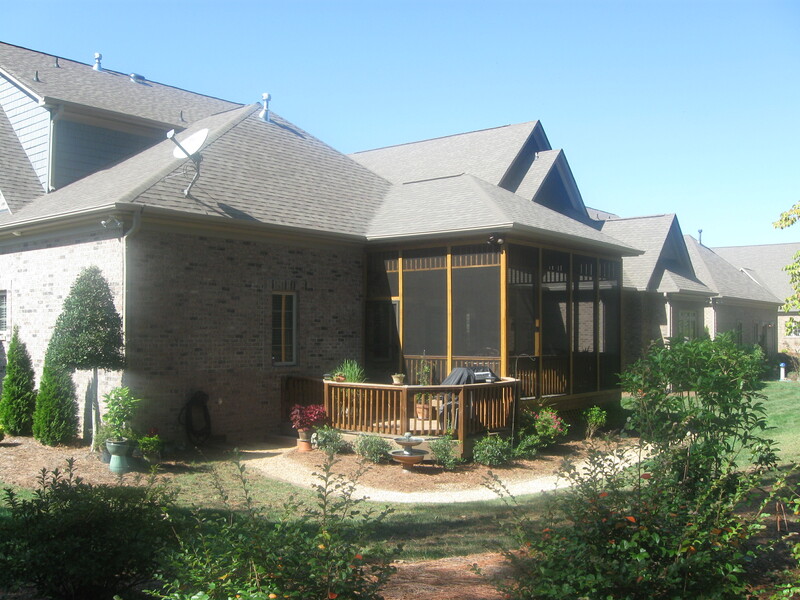 The possibilities are really endless with porches and the amenities people are adding seem to grow every year. It’s best to begin with the end in mind. In other words, have the entire design completed prior to construction so that if you do the project in phases, it looks like it was done all at once when completed! If you need on – site help, call 704-944-1350. 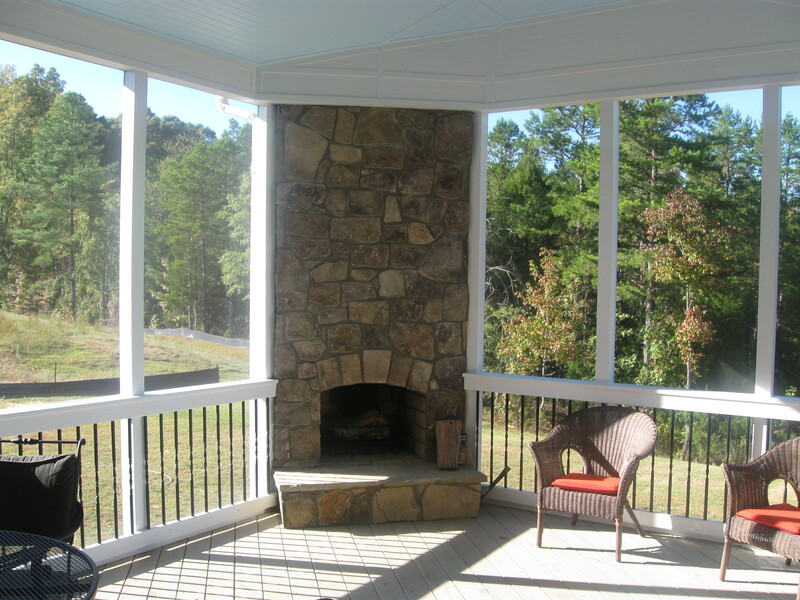 There is a real demand for designing screen porches with a rustic chic flare. We see different trends come and go but this idea of rustic chic has been there for awhile and the demand is picking up steam. If you really think about all that goes into a screen porch, you realize how many elements effect the aesthetics and overall architectural appeal. We start with the construction and trim. The materials you choose for your flooring, columns, and ceiling all influence the appeal. In Charlotte, NC we see some exposed rafters up in the ceiling. We see dark, warm stains being used on the columns and floor. 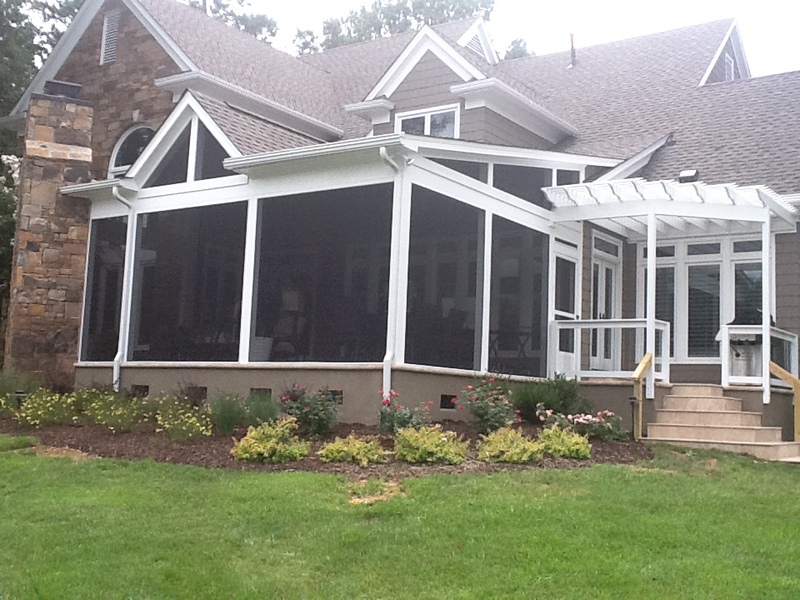 How do I choose the correct paint or stain color for my screen porch or covered patio? How would I go about choosing the appropriate paint and/or stain color for my screen porch? 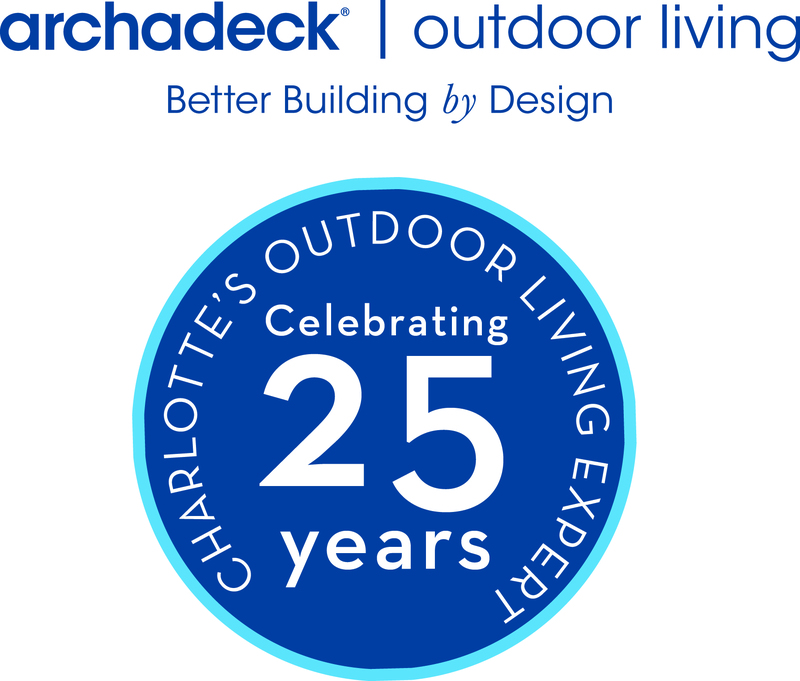 We have 25 years experience at Archadeck of Charlotte designing and building screen porches and covered patios. The first thing we look at is the existing trim color of the home. Is this a color you are going to stay with? If so, it makes sense to paint the porch columns the same color and the house trim to make it appear as if the porch came with the house and was not an after thought! 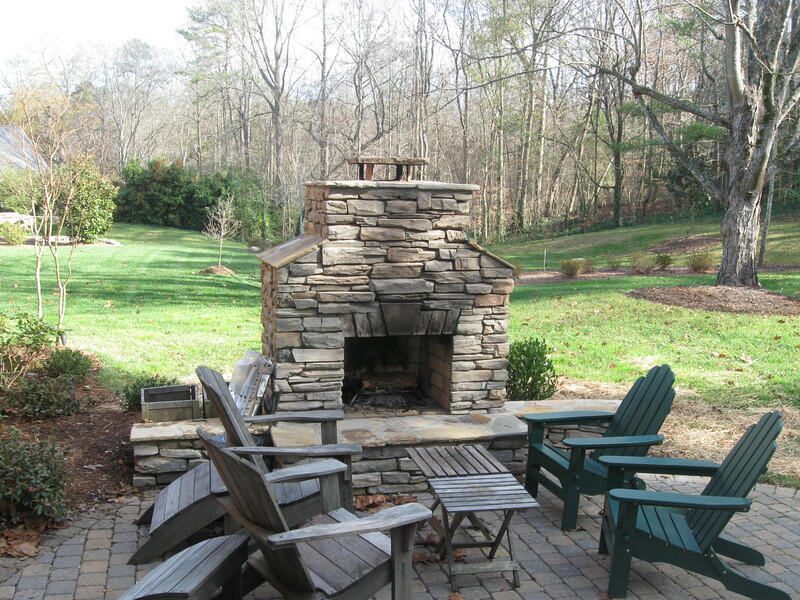 Secondly, what look are you going for in your outdoor living space? Do you prefer a more rustic porch? Are you looking to have a soothing or uplifting ceiling? Dark stains are quite in vogue today and give a deep and rich feeling to the room.